(re)reading of the essay in Archive Fever, where he focuses on Freud’s recourse to a machine metaphor for the mind. In this book, he highlights Freud’s tendency to slip from seeing the machine as an analogy for the psyche to his vindication of it as the actual structure of the psyche. Archive Fever: a Freudian Impression The evolution in the Freudian oeuvre, argues Derrida, has witnessed an increasing convergence between psyche and its technological analogues. From ‘the Sketches up to the Beyond, from the Mystic Pad and beyond’ Freud has had problems staying within the realm of metaphor, and there seems no limit to this problematic of the impression (Derrida, 1996: 27). Everywhere it is writing machines. The problem with writing, however, is that it is limited in its storage capacity. 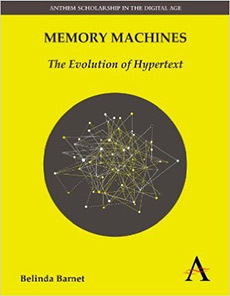 The ultimate memory machine would be unlimited in that it would allow for both preservation and erasure at once – a difficulty that is overcome by the Wunderblock. What this model allows to be thought is a writing surface that preserves and erases, but erases in a special way – it maintains traces of old inscriptions. For Freud, the mystic pad is an apt and useful analogy, but it remains a metaphor; at some point it must come to an end. The originality of Derrida’s reading, claims Hansen, lies precisely in his rejection of this Freudian restriction: ‘For Derrida, the mind-machine analogy is not simply one analogy among others but… the analogy that founds the psychic system as such’ (Hansen, 2003: 143). I do not think that it is too far-fetched to compare the celluloid and waxed paper cover with the system Pcpt.-Cs. and its protective shield, the wax slab with the unconscious behind them…[t]his agrees with a notion I have long had about the method by which the perceptual apparatus of our mind functions, but which I have hitherto kept to myself. Technology Beyond Semiotics? A Critique of Hansen But before we dismiss Derrida’s work as irretrievably on the side of semiotics, we need first to understand what is at stake, what we might lose by remaining inside what Hansen calls the ‘systemic-semiotic framework’. This is an attempt to demarcate an embodied, “natural” human from its various prostheses: language, representation and technology. To demarcate the human body from what Stiegler calls its ‘epiphylogenetic’ memory – the memory which makes us human. This approach has numerous complications, one of which is that we are left with an essentially anthropocentric conception of technological dynamics (Stiegler, 1998: 143) that denies the role of technology in constituting this human in the first place. Surely Hansen would not want to wind up here. All human action has something to do with tekhne, is after a fashion tekhne (Stiegler, 1998: 94); we cannot but approach the world through the technologies of our own perception. Humans invent themselves within language and technology; they invent themselves within technics. Stiegler’s work actually radicalises Derrida’s logic of the supplement; his critique of this position would run even deeper. 1Derrida thinks the relation between humans and technics in terms of an ‘originary supplementarity’. Stiegler's thinking may be seen as a radicalisation of this concept. Whereas Derrida is concerned to articulate the tension in terms of a "logic", here elaborated as the logic of the archive, Stiegler is concerned to articulate this logic in terms of its historical differentiations in different technical systems. The logic will only appear in its differentiation; the ‘interiority is nothing outside of its exteriorisation’ (Stiegler, 1998: 152). Stiegler, too, would be useful to any approach to a materiality of technics. (1994: 398). This is phenomena which, Derrida would contend, technology also seeks to deny, for they interfere with representation at the same time as they enable it. In another rhythm, in another style… If you have read this far, you may now be asking how this perspective might contribute to our understanding of technologies as they exist in the world. What might we do with this temporal dimension, this ‘material opacity’ that we can neither locate nor demarcate from perception? I feel our task as media and cultural theorists, if we wish to retain the explanatory power of semiotics and systems theory, is to articulate the specificities of particular technologies as they exist in a dual space. As I explained earlier, this means recognising that technologies exist, for us, at once as representations and as (essentially unintelligible) material opacities. We cannot understand them any other way. But at the same time, we should recognise that this exteriority is precisely the point where materiality intervenes in the process of representation. This statement seems obvious, yet it has been neglected by contemporary critical theory. Hansen has highlighted the need for such a perspective, and we must acknowledge the importance of this contribution; yet ultimately he constructs a choice between physicality and representation, as though it were even possible to make such a choice. 2002: 38). We must at once mark this constraint and also respect the specificity of particular technologies as they produce our experience. Derrida uses the example of broadcast television in Echographies – and precisely because at the moment that he is speaking this particular technology is forcing his reflections to yield to its constraints. One might criticise him for obsessing over these constraints in the interview, to the neglect of answering Stiegler’s questions. 2Richard Beardsworth, for one, believes Derrida ‘consistently resists’ answering one of Stiegler’s questions (1998: 3). Yet I think he does answer them, in the process highlighting that we must mark the way in which any answer is necessarily shaped in advance. So what does Derrida say about the impact of this technology on our embodied lives? (Derrida and Stiegler, 2002: 117), due to our lack of total mastery or reflexivity. As explained previously, there is always something that is neither objectifying nor objectifiable in our experience of technology. But it is also due to the fact that we receive this across our body, that we are caught by the ‘living image of the living’, by what appears to be most live: ‘the timbre of our voices [in this interview], our appearance, our gaze, the movement of our hands’ (Derrida and Stiegler, 2002: 38). Broadcast television creates (or more precisely, restitutes) a living present: it is mimetic, it mimics a living flux. This text was first published in Fibreculture journal.